There is a reason why “Bounce Rate” is a key metric in your Google Analytics Dashboard. Bounce rate refers to percentage of single-session visitors. As a publisher, you must always look for ways to reduce the bounce rate in order to increase the productivity of your website. If you run a blog, this could be easily achieved by increasing visitor engagement in your posts. Elements listed above will help you increase reader engagement in your posts which could increase website productivity. As a publisher, you must use all available elements for your benefit. Below I have listed top rated WordPress quiz plugins available for free and premium. You can do wonders with ViralPress WordPress plugin. It is not limited to quizzes. You can also create posts in BuzzFeed website styles including images, videos, audios, lists, and polls. When it comes to quizzes, they can be either textural or pictorial. Quiz answers can be fixed or analytical. It is also possible to assign a quiz based on scores. Also if you using BuddyPress for WordPress, you are in luck. 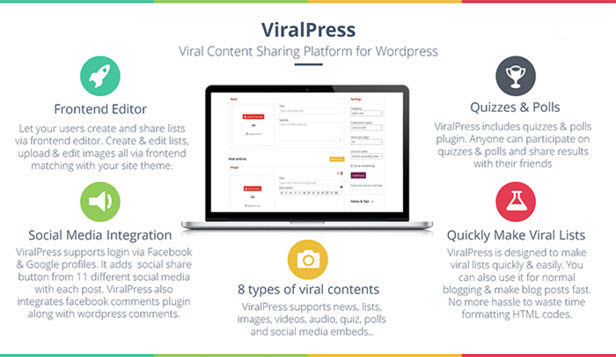 ViralPress can be completely integrated with BuddyPress. Click here to see ViralPress in action. 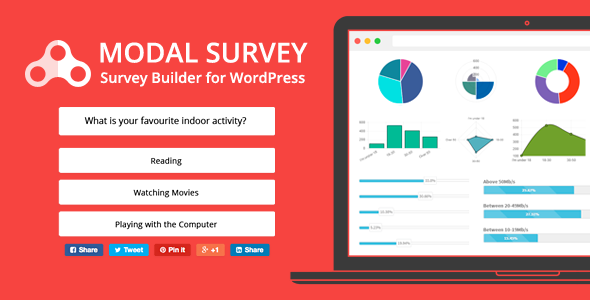 If you are looking for a stylish WordPress quiz plugin, Modal Survey will meet your demands. It is packed with unlimited styles and customization options for polls, surveys, and quizzes. You can use WordPress Visual Builder to design your own quizzes. Quizzes also can include images and progress bars. These quizzes then can be embedded in content or pop-up style with custom sizes. Click here to see Modal Survey plugin in action. It is the #1 selling WordPress quiz plugin. Very similar to ViralPress and highly customizable. 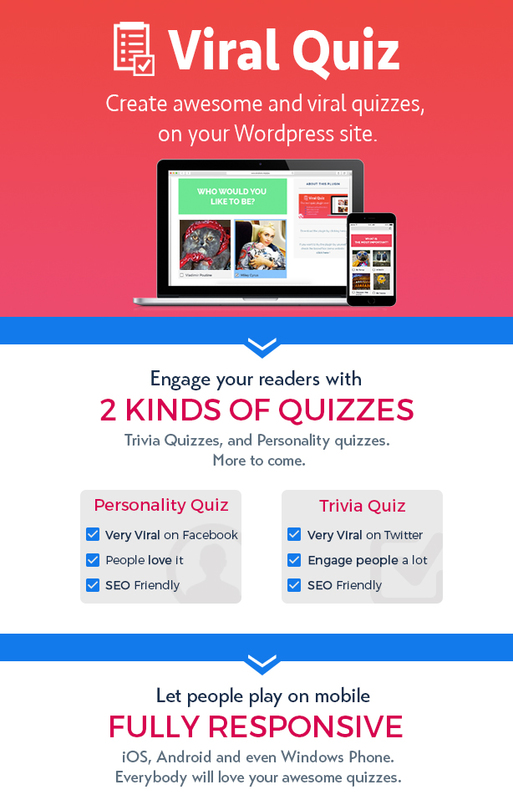 You can build two types of quizzes with this plugin: Trivia and personality. WordPress Viral Quiz plugin also offers ability to capture email addresses which can be synced with MailChimp email list. It is a responsive plugin that can be integrated with mobile websites as well. Click here to see WordPress Viral Quiz plugin in action. 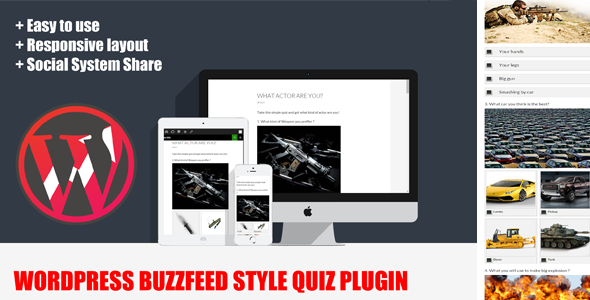 WordPress BuzzFeed Style Quiz plugin is very similar WordPress Viral Quiz plugin. It provides same types of quizzes with a responsive layout. You also has the ability to add advertising such as Google Adsense right on to your quiz results page. Click here to see BuzzFeed Style Quiz Plugin in action. WordPress Form Builder plugin is a complete form management platform. You can use it for quizzes, surveys, user feedback, data collection, and payment estimation forms. It features an easy to use drag and drop form builder. Another great feature of WordPress Form Builder plugin is that it has a quiz timer. It also features a powerful analytic dashboard. This is one of the top rated and highly used WordPress plugin. Click here to see WordPress Form Builder in action. It is the most download free WordPress quiz plugin. WP-Pro-Quiz is a simple yet powerful plugin lets you create quizzes in an instant. It is packed with many features such as single and multiple choice, media attachment, timer, and hints. You have the access to a leader-board and analytic on the back-end. Click here to see WP-Pro-Quiz in action. Poll, Quiz & List by OpinionStage is a free WordPress plugin lets you create simple polls, quizzes, and lists on your website or Facebook page. Furthermore, you can create contests and sweepstakes with this plugin. When it comes to creating quizzes, this is a plugin that offer many features for free. You can integrate media and social media to your quiz and see analytic right from your dashboard. Advertisements such as Google Adsense can be integrated right in to your quiz. Click here to see Poll, Quiz & List by OpinionStage in action. Simple yet powerful plugin that can be downloaded for free. Quiz And Survey Master can create many different types of quizzes similar to the ones offered exclusively in premium WordPress quiz plugins. It also offer the ability to create a separate landing page for each quiz. Quizzes can include media and hints. You can view the quiz stats from the back-end. Click here to see Quiz And Survey Master in action. Everybody has their own preference. But I advise you to try out one of the free WordPress quiz plugins. Many of them offer many premium features for free. If you can’t find the quiz features looking for, check one of the premium WordPress quiz plugins I have listed above. If you have any questions of comments, put them down in the comments section.